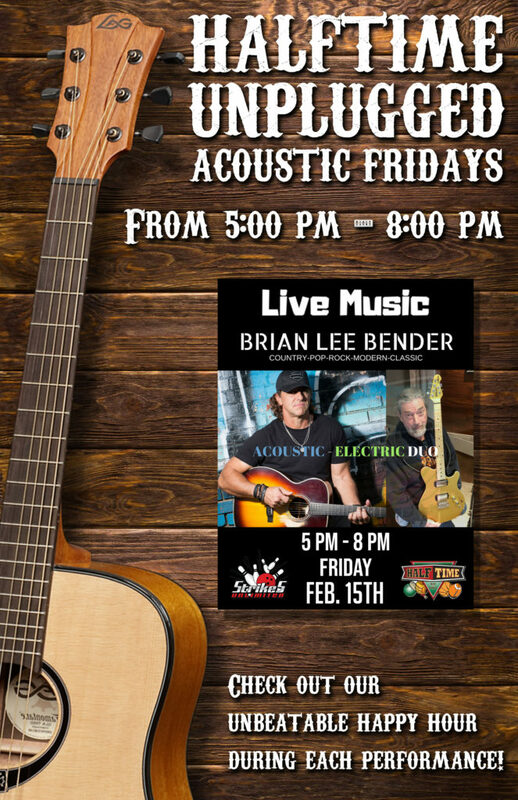 This Friday we have Brian Lee Bender returning for our Halftime Unplugged Acoustic Happy Hour! 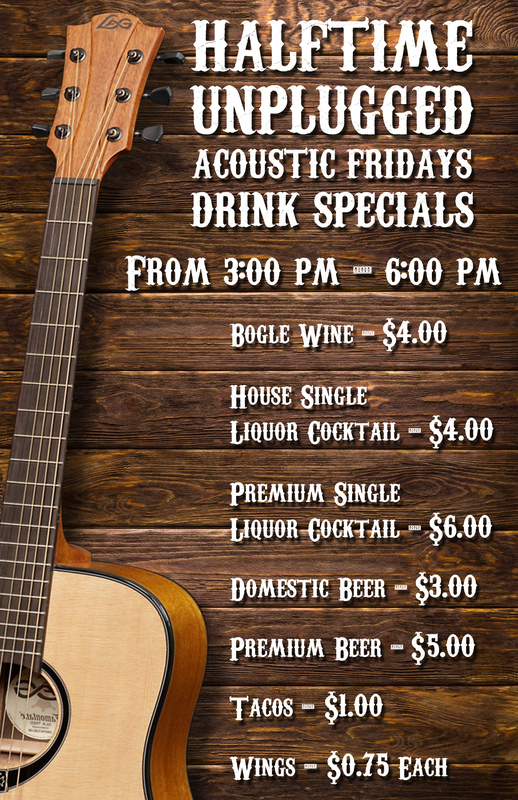 He will be performing from 5pm – 8pm! Halftime Idol qualifiers are complete! The competition kicks off this Thursday at 7 pm! We are hosting our annual mother’s day brunch on may 13th! reserve your spot today! 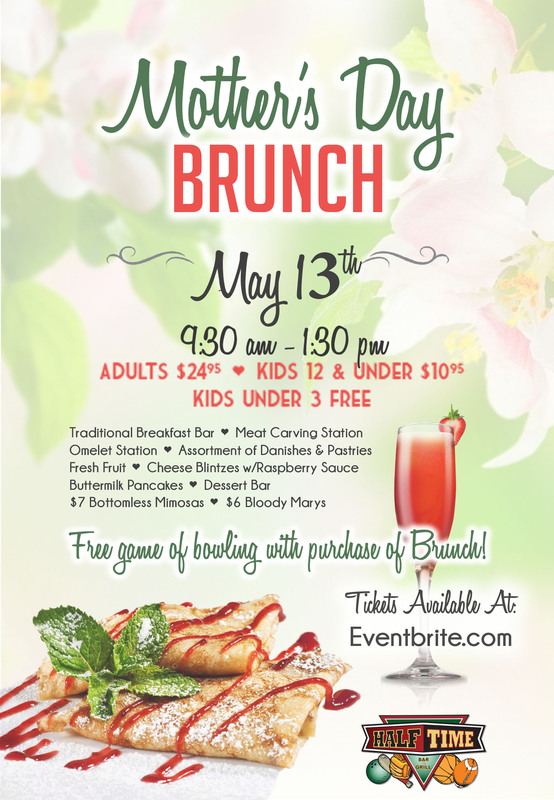 We are hosting our famous Mother’s Day Brunch again! It will be held at Halftime Bar & Grill inside Strikes Unlimited from 9:30 AM to 1:30 PM. What we will offer: Traditional Breakfast Bar, Meat Carving Station, Omelet Station, Assortment of Danishes & Pastries, Fresh Fruit, Cheese Blintzes w/Raspberry Sauce, Buttermilk Pancakes, Dessert Bar, $7 Bottomless Mimosas, and $6 Bloody Marys. Join us and the Neon Playboys on St. Patrick’s Day for some good ol’ irish fun! !